ReactJS is a bestseller when it comes to web app development; it has changed the way people develop apps for better. Be it Facebook, Netflix, Instagram or WhatsApp, all of these apps are using ReactJS for building rich and interacting components with minimum coding. ReactJS has made it easier for developers to divide huge UI into smaller components. ReactJS has also enhanced the overall rendering performances of the applications like Facebook and WhatsApp. ReactJS Web Development is the rage and Netflix and Facebook has got a role to play in this. The growing popularity of apps like WhatsApp and Instagram has increased the popularity of ReactJS as well. Let’s find out varied usages of ReactJS and why is it so Popular? 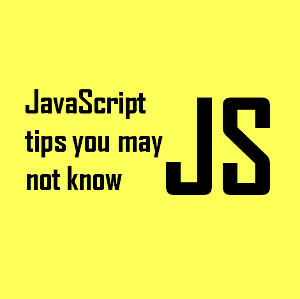 JSX is a little bit controversial, but it can help web developers build a big code tree with almost no errors. It is easier to convert to HTML mock-ups into React Element with the help of JSX. The informative warning tool helps the developers avoiding errors and writing clean code. Read Also: React Native — The Future of Mobile App Development? Developers from around the world have always been complaining about the extra work they need to do every time there is a maintenance issue. Developers are also fed up with all the updates that need to be pushed every now and then. 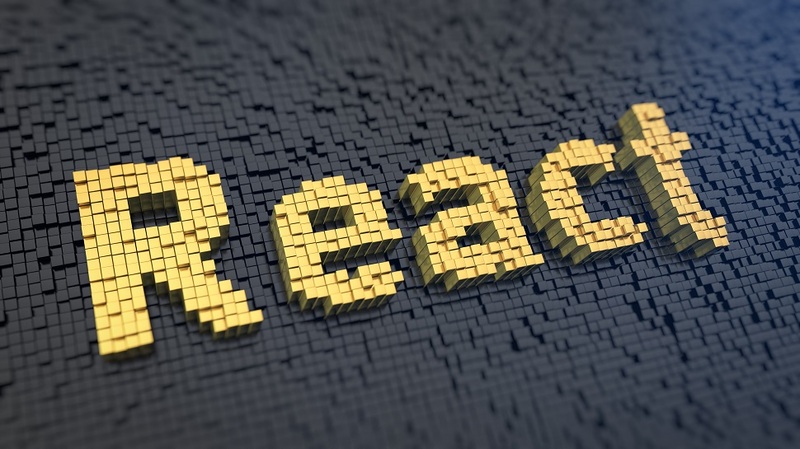 Facebook decided to lead the movement and relied on ReactJS for reusing the existing code. The idea of reusing existing codes has changed the way developers look at maintenance and pushing new updates. Web developers from around the world find reusable code features to be the unique selling proportion of ReactJS. A lot of companies like Walmart started using ReactJS just because it allowed the developers to reuse the existing codes. ReactJS has also made it easier for companies to use the codes from other companies; example: If needed, Facebook can use the codes of Walmart because no matter how different the basic concept may be but features like payment, login and image carousels remain the same for everyone. ReactJS can be used universally. If you are a developer, you will understand how big a problem ReactJS has solved by making codes reusable. With the help of varied options like JSX, ReactJS is willing to make web development a lot easier and fun. ReactJS developer and ReactJS development company rely on the pre-defined libraries because it simplifies the tasks and allows them to re-use the available codes. The re-usable codes make it easier for everyone to push updates and also improve the app in real-time. ReactJS web development is bound to grow popular in the coming times because everyone is looking forward to building an impressive and light weighted app. One can easily rely on this set of libraries for building an app that runs fast and provides a great user experience. When building an app like Facebook, which includes varied features like Image upload, Page management, Group handling, and Link management, web developers are scared that the app will grow heavier. With the apps becoming heavier, the overall speed of the app will fall. Developers have always been worried about the falling speed of apps but ReactJS solves the problem in style. ReactJS makes use of Virtual DOM (Document Object Model), where all the changes related to an app are made. The use of Virtual DOM does not affect the overall app while the new features are added too. A web developer can rely on this feature for building the app without affecting the user experience. ReactJS depends a lot on Downward Data Flow, which allows the developer to work on the child structures of the app without affecting the parent structures. All a developer needs to do before he starts to build anything new is change the status of an object and restores the status quo once the development is done. This exemplary feature of ReactJS ensures the highest quality of user experience even when the app is being modified on the backend. Such real-time enhancement of app allows the developers to overcome problems as soon as it occurs. Search engines have always had a tough time reading apps with heavy codes; since ReactJS leads to a lighter app, it gets easier for search engines to read them and rank them. Improve search engine optimization can prove to be a boon for an application be it Facebook, Instagram or any new application. Improved search engine optimization means more traffic from search engine leading to more business and profit. ReactJS web developer love the fact that it is SEO friendly; it helps them garner the best possible outcome for their apps from search engines. Companies like Endive Software have also benefited a lot from ReactJS being SEO friendly; they have helped their clients achieve the best search engine ranking. Web developers have always wanted to have a working environment where they can implement the programming skills they learned in previous projects. Earlier no such functionality existed. The advent of ReactJS has changed a few things for the better. ReactJS web development company, Endive Software allows web developers to reuse the codes, which is a USP of ReactJS. ReactJS also comes with a pre-defined developer toolset, which allows the developer to discover varied child and parent components and reuse them. React Developer Tools is an extension which works efficiently with browsers like Google Chrome and Firefox. One thing that sets React Native apart from its competitors is its feature, where developers can reuse the codes and build in real-time. One needs to understand the ReactJS is not a full-fledged programming language, it is just a library that has improved the potential of just one segment in web development. A lot of ReactJS development company float it as a framework, whereas it is nothing but a library that improves the functionality of one aspect of app development. ReactJS is quite easy to learn and implement because it allows re-usage of codes, which simplifies the maintenance tasks. An aspiring ReactJS developer can go through the tutorials or books for a while and become expert at coding in ReactJS. A few tutorials and a few practical and anyone can build an app with ReactJS. Like the modern-day start-ups, ReactJS too has a community that is very strong and is supportive of new ideas. The thriving community is making it easier for everyone from Facebook to a nascent entrepreneur to build an interesting feature and make the world a better place to live. The thriving community discusses intricate issues and provides with a solution for a lot of things. The new ideas are converted into apps within hours at the community level. WhatsApp and Instagram were once a start-up but ReactJS is not limited to start-ups only. Fortune 500 companies like Walmart is taking the lead when it comes to using ReactJS for building tools and apps. The world is looking up to this new set of libraries for changing the way apps are being built. The varied functionalities provided by ReactJS have simplified the task and allowed businesses with time and resources to concentrate on other important things. There’s no better example of a successful app than Facebook and WhatsApp. These two apps have changed the way people interact in their day to day life. If these two apps are using ReactJS and relying on ReactJS web development, then it is worth it. You should also try using ReactJS for building your app from scratch because with ReactJS you can make light apps and also push updates and maintenance in real-time. The quality user experience will also be not compromised even when you are making changes at the back-end. Start learning ReactJS today because it is the future and anyone who defies it will grow obsolete in coming times.